A first-of-its kind project offering hope for one of the UK’s rarest bumblebees has been launched on the Peak District moors near Sheffield this month, with support from the National Lottery. 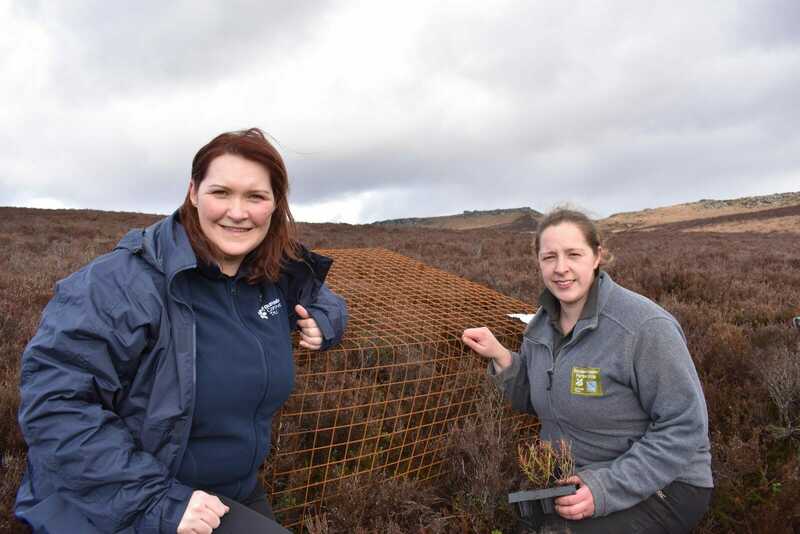 The Bumblebee Conservation Trust and the Eastern Moors Partnership – a joint initiative between the National Trust and the RSPB – aim to boost populations of the threatened Bilberry bumblebee by planting 1,000 bilberry plants inside specially designed grazing-proof metal cages on Hathersage Moor. 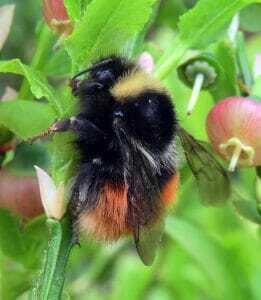 Sally Cuckney, Pollinating the Peak Project Manager for the Bumblebee Conservation Trust, said: “Grazing animals such as sheep and deer find tender young bilberry plants especially tasty, and their constant browsing stunts the plants’ growth. That’s bad news for the Bilberry bumblebee. If grazing is reduced, bilberry does much better. Pollinating the Peak is also creating flower-rich habitats, monitoring bumblebees and raising awareness about them across the Peak and Derbyshire. It is run with partners Chatsworth, Chesterfield Borough Council, Derbyshire County Council, Derbyshire Wildlife Trust, Little Green Space, Moors for the Future Partnership, National Trust, and Peak District National Park. See www.bumblebeeconservation.org.